What would you do to help your favorite Grand Rapids park? Editor’s note: The following opinion piece reflects the views of The Grand Rapids Press editorial board. 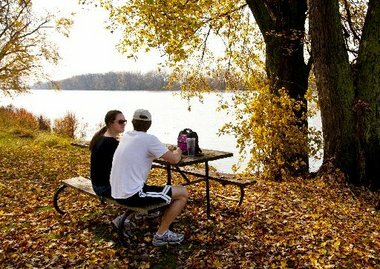 GRAND RAPIDS, Mich. â Which Grand Rapids park is your favorite, and how hard are you willing to work to make it better? City leaders this week rolled out an innovative plan intended to boost the number of people and hours volunteering for good causes and decide which park will get up to $50,000 in improvements. We like the idea. Do you? Grand Rapids and Friends of Grand Rapids Parks are sponsoring a campaign that letsmyGRcitypoints account holders donate points to the city park of their choice. The park that receives the most points by the end of March will get $50,000 of city money budgeted this fiscal year for park improvements. Two other parks will get $10,000 each. Once the winners are determined, the plan is to conduct community meetings to decide how best to spend any prize money. The prizes also could function as seed money for larger, more-expensive park-improvement projects if nearby property owners agree to a special assessment. People previously have been able to earnmyGRcitypoints for using the city’s recycling service. The new plan calls for residents to also earn points for helping out at certain nonprofit events. The city is working with Heart of West Michigan United Way’s HandsOn Connect system that links volunteers to volunteer opportunities. We like the experiment of expanding participatory government in new ways â through we certainly donât want to see neighborhoods competing for basic services somewhere down the line. We’re also confident that while the three parks will see nice improvements, none of the others will be neglected. Grand Rapids’ parks have long been a source of civic pride. We know that Grand Rapidians are a competitive bunch, and our community generosity is well known. This new plan combines the two for the benefit of our parks and is worth trying. Do you have a favorite Grand Rapids park? Tell us about it in the comments. Dave Murray is the Grand Rapids community engagement specialist. Email him atdmurray@mlive.com and follow him on Twitter @ReporterDMurray or onFacebook.